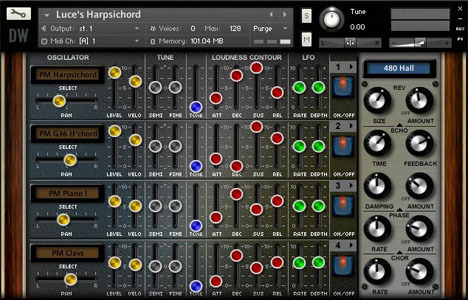 discoDSP rilascia Discovery 4.0, l'ultima release del noto virtual synth per Windows e Mac. New zero-feedback delay filters modeled after the Nord Lead 2. High contrast drop down menus. Discovery 4 è in vendita al prezzo lancio di 49 EUR fino al 31 agosto 2013. A partire dal 16 Luglio, i possessori di versioni precendeti di Discovery, possono eseguire l'upgrade con 19 EUR presso la discoDSP Members Area. Hideaway Studio rilascia Constellation: Apollo 203A, una virtual synthesizer library per Native Instruments Kontakt. In a similar manner to Monopolyphonix I really didn’t want to sample the poor beast to death simply to produce another virtual offering so instead I captured over 500 samples directly from No.3211s mix output, often a sample per key, and set about trying to make something a little different. To add to the mixing pot I sampled a number of patches I’d recently created on my SE Omega 8 which I thought was kind of fitting in a way as it almost felt like a celebration of the last 30+ years of polyphonic synthesis. In order to make the two sing a little more sweetly together I decided to wash the Omega through an old analog stereo chorus unit and a tube equaliser. 660MB library for Kontakt 4.2.4 and above (full version). 24 multi-sampled voices available in 4-Voice layering engine with ability to save patches. 32 demo patches, 16 demo Multis, demo & user manual with more on project background. Apollo 203A virtual instrument library per Kontakt è in vendita a £10 GBP. 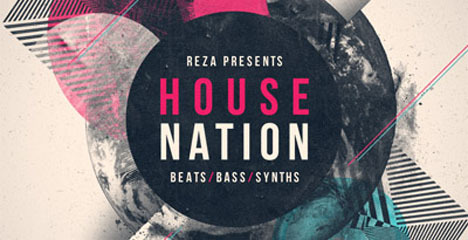 Loopmasters rilascia Reza presents House Nation, nuova libreria di house samples. House Nation è in vendita a £29.95 GBP. Le singole parti sono acquistabili separatamente. Togu Audio Line annuncia il rilascio di TAL-BassLine-101, un monophonic bass synthesizer. TAL-BassLine-101 per Windows e Mac (VST/AU) è in vendita al prezzo lancio di $40 USD fino al 6 settembre 2013 (prezzo regolare $60 USD). 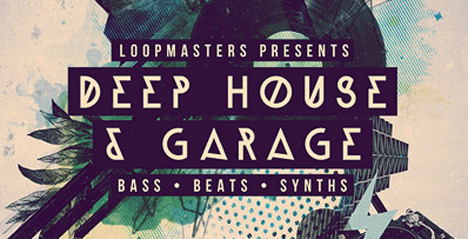 Loopmasters ha rilasciato Deep House & Garage, un sample pack ispirato dai suoni dell' UK underground, come Deep House, Bass House e Garage. Expect to hear swung out drums, classic organ and chord stabs, 90′s style vocal cuts alongside contemporary analogue basses, and silky smooth SFX. Deep House & Garage è in vendita a £29.95 GBP. 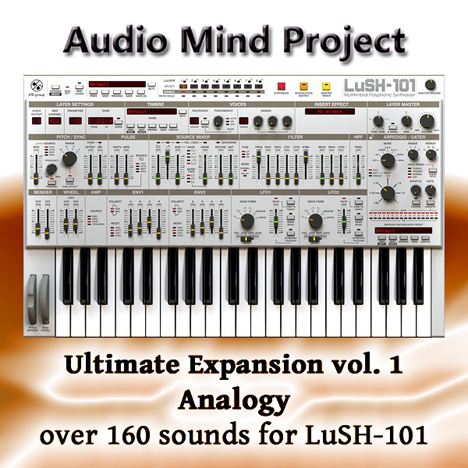 Audio Mind Project rilascia Ultimate Expansion Vol. 1: Analogy, un soundset con 168 sounds per il software synthesizer LuSH-101 by d16 Group. The first volume shows a softer and calmer, more analog-like side of LuSH-101. A variety of deep, dreamy, dark and beautiful pads, both lush and calm orchestral sounds, a selection of keys, inspiring synths, gentle arps, as well as useful lead and bass sounds are included. Il soundset è in vendita al prezzo lancio di $19.99 USD fino al 10 Luglio 2013 (20% in meno del prezzo regolare, $24.99 USD). 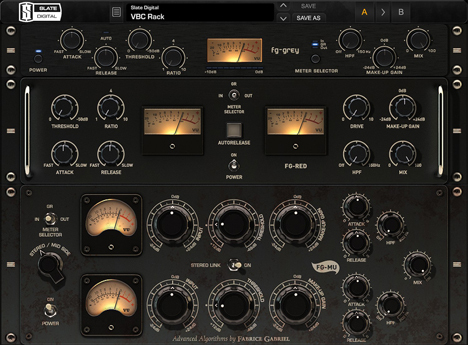 Slate Digital rilascia Virtual Buss Compressors, nuova plug-in suite che vanta 3 compressori 100% analog modeled. Virtual Buss Compressors contains 3 models of some of the industry’s most sought after analog gear. The FG-GREY is a replication of the classic British console compressor, with some fat sounding transformers added in to beef up the low end. The GREY will give your mix that classic glue and punch that you’ve heard on so many hits! The FG-RED is a replication of the classic RED mixbuss compressor that has been used for decades by some of the world’s top mixers. It sounds tight, punchy, and has rich harmonics from the output transformers. The FG-MU is a hybrid of several tube compressor designs that is lush, warm, fat, and open sounding. The MU will give your mix tons of depth and analog vibe! Each compressor also includes a hi pass filter and parallel mix wet/dry knob for ultimate flexibility! Finally, some of the most common professional presets have been added to each compressor to get you started quickly! 3 Unique 100% Analog Modeled Buss Compressors. Precisely emulated circuit paths including amplifiers and transformers. Tons of classic presets used by top mix engineers. Available as a rack or individual plugins. VBC bundle è in offerta a $199 USD, (incluso iLok 2 omaggio) fino al 12 Luglio 2013.